Want to know why Solo: A Star Wars Story kinda flopping at the box office isn't a big deal? It's because Disney can shut anyone up with news like this. 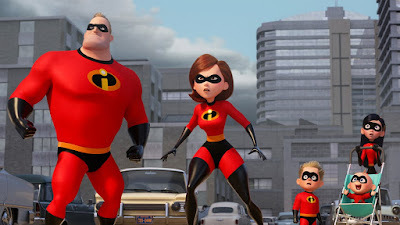 On Monday Pixar's Incredibles 2 surpassed the $1B mark, making it the fastest animated film to ever do so, taking only 47 days from release. And that's just the first of many stats Disney will be able to trumpet. This is Disney's third $1B movie of 2018 already, following Black Panther and Avengers: Infinity War. That's just crazy, especially when you consider the major films they still have on deck. It's also Disney's 18th film to cross $1B, which is astounding when you consider only 36 films have ever done so. Incredibles 2 is only the 7th animated movie to surpass $1B, and at the rate it's going may threaten all-time record holder, Disney's Frozen, which sits at $1.27B. Now, how long will Disney make us wait for a threequel?